This beautiful rich black finished display is created for tins. The diameter for tin is 65mm and can hold 6 tins. Back of the display has assembled supporting rack and customer's logo is gold embossed on the head of the display. 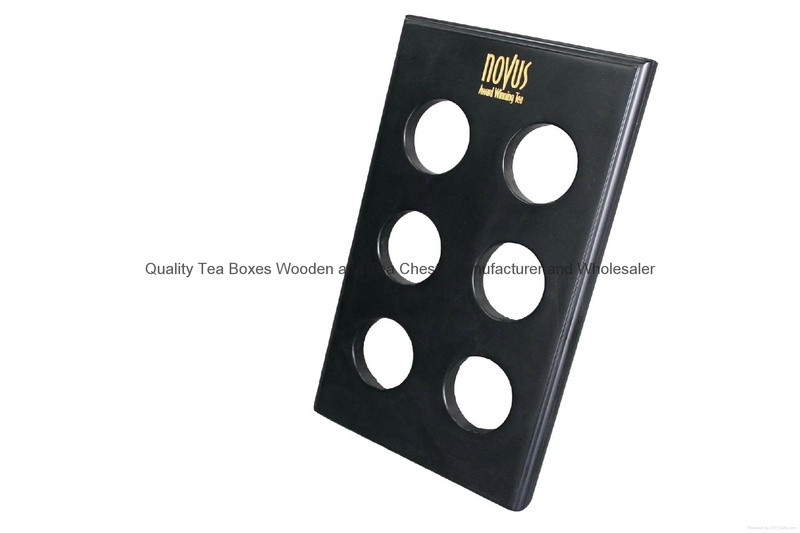 This tea display can be made from solid wood or MDF to save any cost. 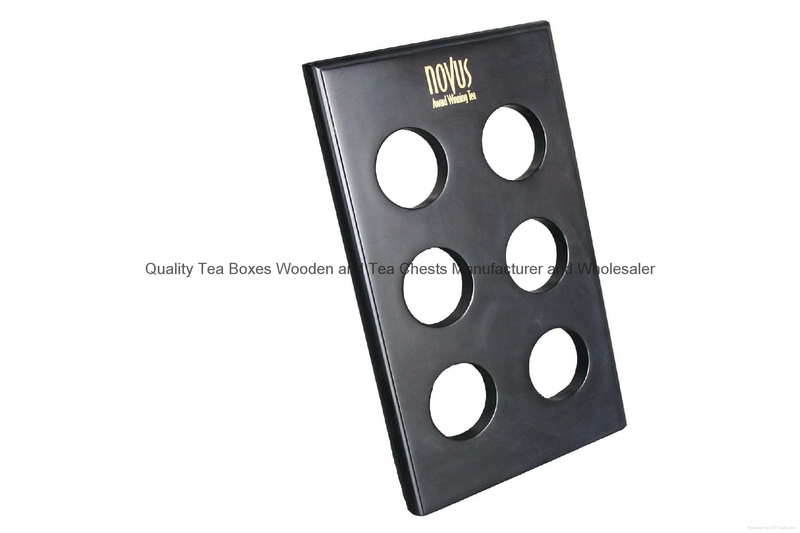 Now you are here with the most professional wooden tea boxes, tea chests, tea chest boxes, rea rack, tea displays, tea wooden boxes manufacturer and wholesaler.From 2004, we are only making tea packing items till now.The quality of every item from us is guranteed for replaceable or refundable. If you would like to find a reliable partner for such item, please contact us today.